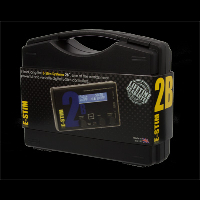 It took over 3 years to develop the first 2B, and it continues to feature regular updates to its software and accessories, resulting in one of the most powerful and versatile E-Stim power boxes available on the market today. Officially called the Series 2B, or 2B for short, if you are looking for more power, more control, and more options then the 2B is your only choice. The clear backlit LCD display on the 2B shows you exactly what your unit is up to all of the time, with an enhanced user friendly display and control system making it easy to use and giving you even more control. There is no need to learn any funny codes or count flashes. A built in help display guides you through mode selection, whilst the back light options allow visibility in the darkest dungeon or play space.. Changing mode is simple - A couple of quick button presses and the twiddle of a knob to choose 1 of 17 modes. It's simple. It works. The 2B has 17 fully adjustable program modes. With all of the more standard modes present, we have added some new ones so you can now throb and thrust your way to e-stim ecstasy and pleasure. 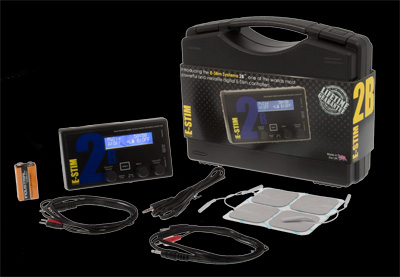 Split modes, tickle, and programmed wave functions all pack the 2B with hours of e-stim pleasure - and since the 2B is upgradeable, you can add new modes and functions when they are released. The 2B is fitted with the hardware for a optional Digital PC link,which allows you to control your 2B directly from your Windows PC or Mac via a USB connection, and the free Commander software also offers computer to computer control over the internet. The 2B features two completely isolated output channels, with independent controls on each channel. This allows you to use multiple bipolar electrodes at the same time, and be able to control them both, independently. The output LED's light up in proportion to the output levels so its possible to see what's going on without consulting the main display. With the join mode it is possible to join both channels together, giving safety and control in one and with the Triphase cable set, even more possibilities are available. (Think 3D Electroplay). Warning the 2B is considerably more powerful than many of the units available today you have been warned. Like all of our other power boxes, the 2B is protected by our lifetime guarantee. Very pleased with this box - it's my first 2-channel one. My only slightly negative comment is that the slow end of the scale could be slower, but it's not a dealbreaker. Otherwise, I'm entirely delighted! Admin:- Thanks for your feedback and we will pass your comments on the to the Development Team. Highly recommend this amazing gizmo. It replaces my two TENS units with much, much more capability. The electrically isolated channels produce truly unique effects. My favorite, so far, is the stereo setting playing some of the e-stim audio tracks and hours of edging. Great product. At first I was hesitant to spend $500, I am glad that I did, professional packaging, great customer service, even if it is user error. Tons of power, even on low it has too much for me. 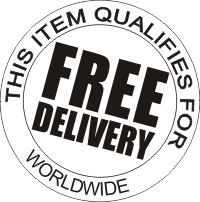 Lots of options plus can used over the internet. (It can even bee controlled from a smart phone!) Great product, thank you. The unit is very well made and laid out for ease of use. Adjusting the 'feel' of the output while using it is initially a bit tricky until you get used to doing it but it works and that's what matters.. The device certainly lived up to my expectations it is easy to use and has just the right amount of power with still some to spare. I only use the 9v battery and it seems to never run out controls are simple and the factory program settings are great. Have received quite a few HFO already. Paired with the tri phase cable is a must it makes the world of difference.